Replacing a house full of windows sounds like a daunting task, right? Great news – it does not have to be! 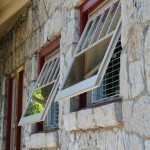 Quite often we meet homeowners who know they need to replace most if not every single window in their home. However, they are not ready to tackle such a large project all at once. Or, they know the project will be more than this year’s budget. Or, just maybe, this first time purchase is scary and the homeowners want to test the waters – see if they like the product and the installing contractor. It’s Smart To Replace Your Windows A Few At A Time. 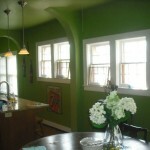 Regardless the reason, it is okay to change out your windows over several years. You do not have to compromise. 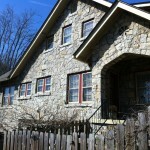 Buying windows for your home is a big investment and you don’t have to make the investment all at once. 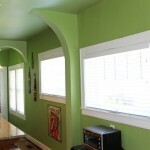 One recent project shows how replacing windows in stages can be more manageable for your nerves and your budget. 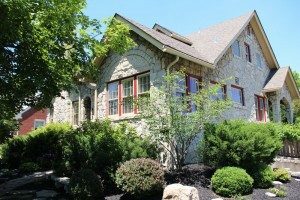 These homeowners found extensive rot and general loss of function for many of their windows and wanted to replace them with energy-efficient models that offered key features for their lifestyle. The 1926 home included 42 windows and was a perfect candidate for replacement in stages to meet the homeowners’ feature and budget needs. They added a touch of architectural style by replacing the original 6 over 6 grille design with a 3 over 1 design. MONEY SAVING TIP: If you purchase five to eight windows at a time, your window dealer can offer you the best price on installation because their team is fully employed for the day. Also, the right designer/consultant/retail dealer can offer suggestions on window designs that can maintain the architectural integrity of your home and also save money – not all windows have to be re-created exactly as they were. Now For The Big Question: Which Windows To Do First? How do you know which windows to replace first? In this case, the decision was based on a combination of regaining functionality and retaining proper aesthetics. The original kitchen windows were difficult to open and close, so adding functional windows to this part of the home was important. In addition, the homeowners decided to replace all the windows on the kitchen side of their home to avoid a potential mismatched look from the change in grille pattern. Insert windows were used to avoid disturbing the original interior trim. The results are impressive. Even with the grille changes, the new windows look like they had always been part of the charming home’s architecture. And the homeowners were thrilled to get exactly the windows they wanted for their home within a budget they could manage. Follow your wishes. Do not compromise for cost or time, because as you can see, both are negotiable! If you are ready, jump right in and replace all of your windows. Or, take a more measured pace and replace five to eight windows a year until the project is finished. The choice is up to you. Take as many “bounds” as you need!